Who’s saying what about your published work? Knowing who’s talking about your research and what they’re saying is crucial in today’s increasingly online world. Ensuring your work is being accurately represented and interpreted, as well as getting to the right people at the right time, all plays an important factor its broader impact. 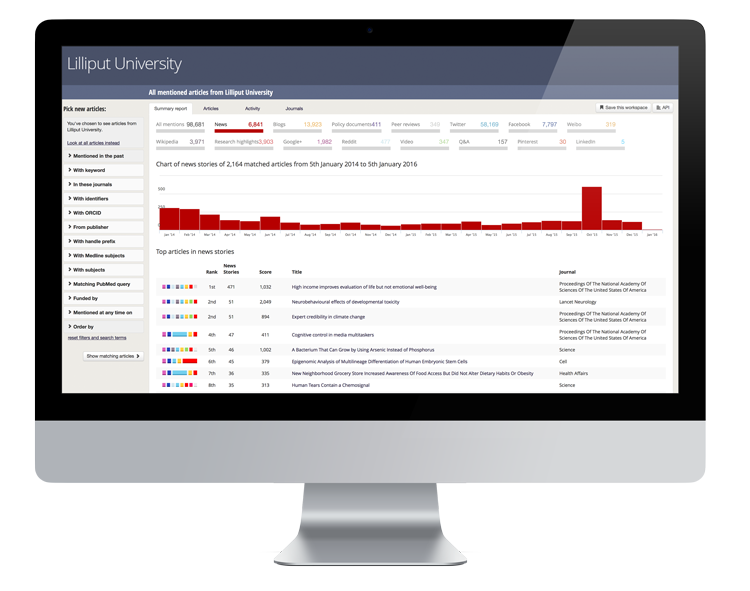 With altmetrics, you can start to track this information as soon as your research is published – meaning no waiting around for citations, and the chance to engage directly with the audiences who are interested in your work. 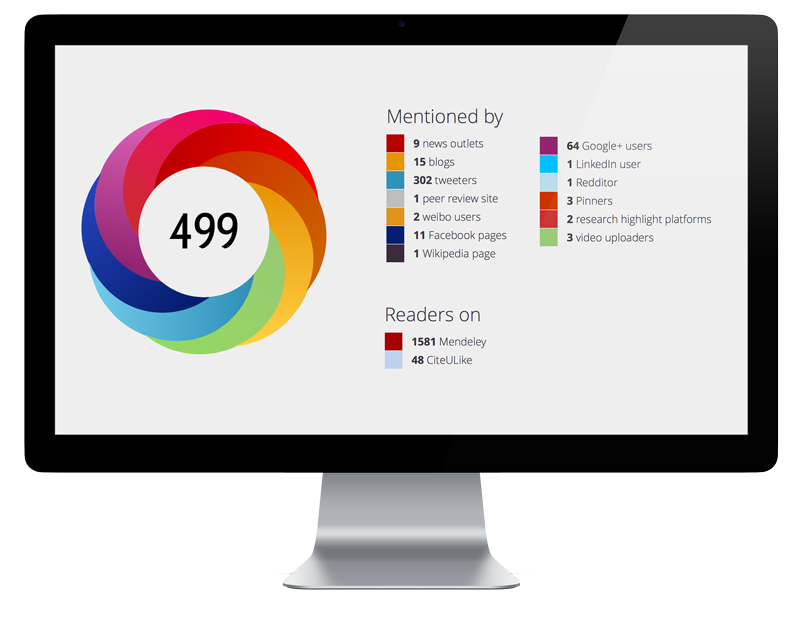 Altmetric begin collating the online mentions and shares of your research across the sources we track as soon as it’s published, meaning you can get almost immediate feedback on how it’s being received long before any citation data becomes available. Funders and review panels increasingly want to see evidence of the broader influence and impacts of your work. Altmetric data can help you demonstrate this – for example was your work commented on by a thought-leader in your field, did it receive media attention in specific geographies, has it been referenced in public policies? One of the benefits of the data Altmetric provide is that it can be used to benchmark against other research published in your field, meaning you can see where the work of your peers is gaining traction – useful for informing best-practice strategies for future outreach activity. Check out the ‘score in context’ tab of your details page to see how the attention surrounding your research compares to others. You might find that your work (or other research in your field) is being talked about in unexpected places! Dig into the details page to see who is talking about your work and what they’re saying – you might even uncover some potential future collaborators! This free browser plug in let’s you instantly see the Altmetric data for any publication with a DOI. Click on the donut to view the full details page for each output. 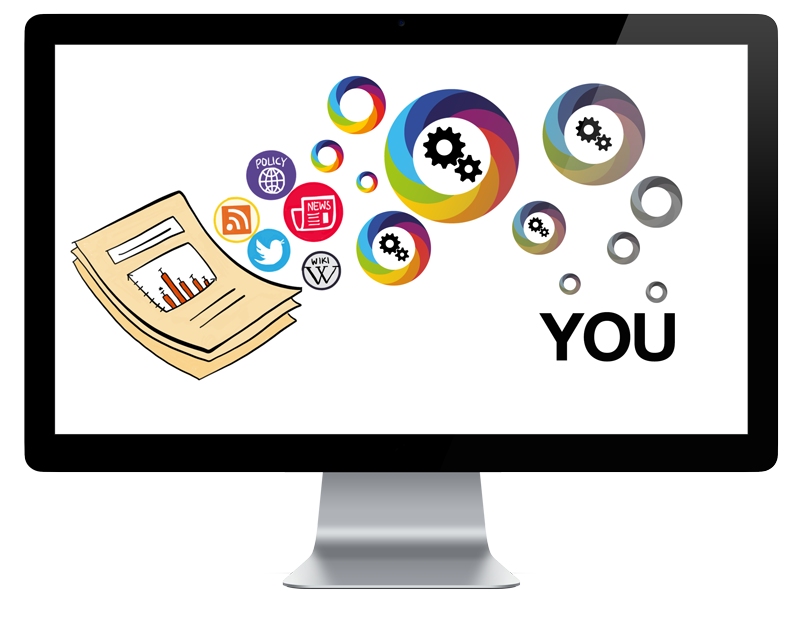 The Altmetric badges enable you to showcase the online attention surrounding your research, and it’s free to embed them in your individual profile or publications page in just a few simple steps. 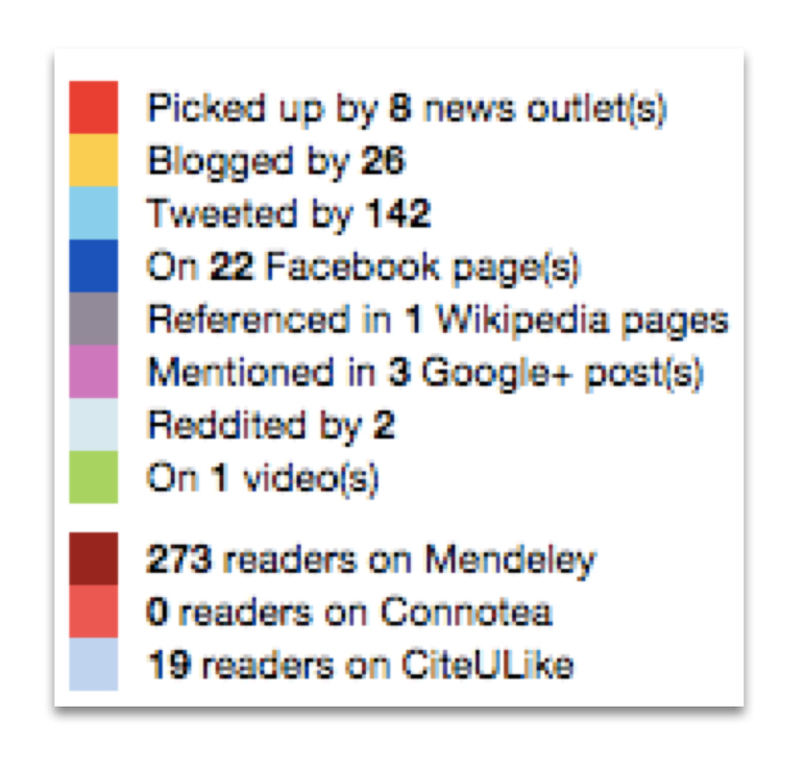 The Altmetric API is free to use for research purposes! You can use it to query our entire database (which currently contains attention data for over 9 million research outputs). How are other researchers using this data? Terrie Moffitt, Professor of Psychology at Duke University, talks about how she users altmetrics to identify and evidence the online activity surrounding her research. Ashley Casey, Senior Lecturer in Pedagogy Loughborough University, discusses how he uses Altmetric data to disseminate and track his work, and why this is a necessity when publishing research. 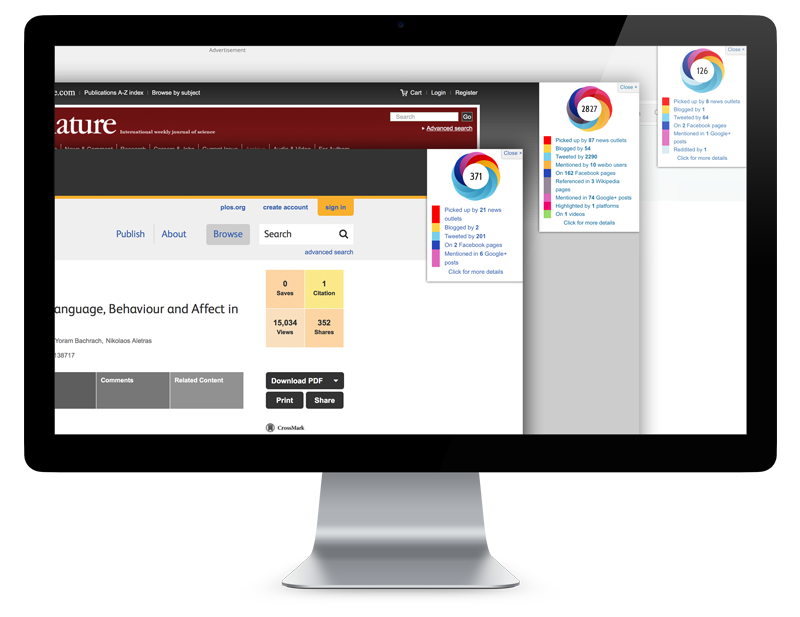 The Altmetric Explorer for Institutions is a site-license access subscription platform that enables you and your colleagues to browse and report on all of the attention data for research published by your faculty, and to benchmark this alongside the other items in the Altmetric database.